Strong leadership and an extensive real estate background are among the exceptional qualities Bob Lucas provides the Lucas Companies. His responsibilities include overseeing the company's asset and property management, as well as policy determination and overall corporate guidance. Bob remains active in daily operations. After completing a Degree in Business at U.S.C. he worked for a number of years as a project manager for the Lusk Company. Afterwards he was responsible for starting Security Fore Corporation (later became Standard Pacific). As Vice President of Security Fore he oversaw the development of over 1,000 single family homes. In 1968, Bob founded Lucas. He has been responsible for the development of over 3,500 homes, 4,000 apartment units and numerous retail and commercial projects. Kent Lucas became president of Lucas in 1990. Kent has the overall responsibility for all construction operations involving development and general contracting for Nevada, Northern and Southern California. His duties include forecasting, all development operations, overseeing general contracting operations, legal and contractual matters. Kent has been involved with development for over 24 years and has experience in most aspects of real estate. His management has included twenty-one apartment communities totaling over 3,600 units, eight shopping centers providing over 1,000,000 sq. ft. of leaseable area, five office complexes, several industrial buildings, two churches and over 1,700 single family homes. After graduation, Kent oversaw field operations as a superintendent. From 1980-1984, Kent relocated to Sacramento to head up the Northern California operation as project manager. He was directly responsible for the development in Northern California including a major neighborhood shopping center, a 12 building office/industrial park, two stand alone office buildings and a medical center. Kent also handled mapping and rezoning of several residential and commercial properties. 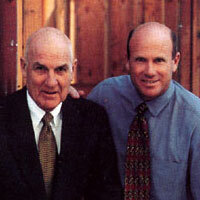 In the early 1990's, Kent successfully led the company into Las Vegas, Nevada. Lucas has built 320 apartment units and lists 8 subdivisions totaling over 700 single family homes to date in the Las Vegas market. Kent is a graduate of the University of Southern California. He also holds a real estate broker's license and California and Nevada contractor's license. Robert Mahony has been with Lucas since 2001 and brings over 20 years of experience in accounting. As a Certified Public Accountant, Robert has been involved with the construction industry for the majority of his career. His prior experience includes a position as CFO at Slater, Inc., an underground utility and storm drain contractor, auditor at both KPMG, LLP and Moore Stephens, Frazier and Torbet LLP, and a Controller at Mesa Management, Inc.
Robert's responsibilities at Lucas include the oversight of the financial arm of the company, management of the company's employees, legal and contractual matters, and development of policies and procedures. Additionally, Robert oversees the computer resources, including automation of both the accounting and project management departments utilizing Timberline and Prolog software, respectively. Robert's oversight of the company's draw and invoice payment processing ensures proper subcontractor invoicing by a detailed approval process including project managers, general superintendents, accounts payable managers and the Controller. Combined with Robert's oversight of insurance administration to verify all subcontractors meet the Company's stringent insurance requirements, he helps ensure the Company's team is committed to the success of each project. Robert's experience during his tenure at Lucas included the financial management, budgeting, and job cost reporting of multi-family, affordable and senior apartment projects, as well as retail and commercial projects. Robert is a graduate of California State University Fullerton and an active member of the American Institute of Certified Public Accountants.